Graphite Shadow is a new hue for the entire FX lineup, while a new-for-2012 Limited Edition FX35 AWD model comes in an exclusive Iridium Blue exterior color and includes huge 21-inch graphite-finish wheels, graphite-finished aluminum roof rails, and a host of other upgrades. 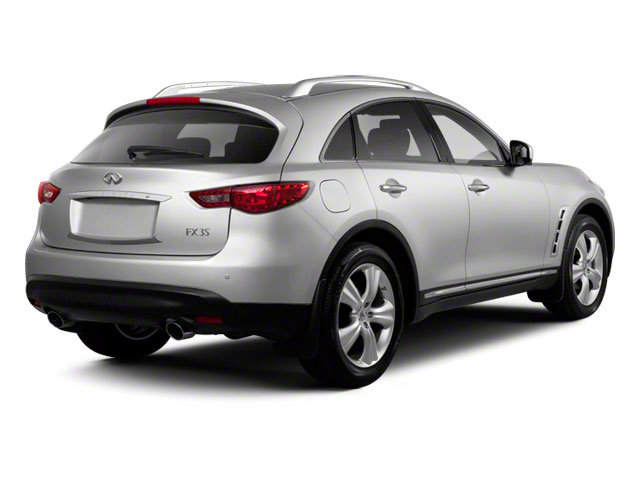 The INFINITI FX35 and FX50 look quite the same inside and out, but their powertrains give them a different personality from behind the wheel. FX35 models come with a 303-horsepower, 3.5L V6, while FX50 models get a 390-hp, 5.0L V8. Both are hooked up to a 7-speed automatic transmission that includes adaptive shift control. An intelligent, road-oriented all-wheel drive system is included on all FX50 models, as well as on the FX35 Special Edition. Although the FX looks somewhat like an SUV, or a tall, rugged crossover wagon, it drives more like a sport sedan. A double-wishbone front and multi-link rear suspension help keep the FX very composed and controllable in tight, fast corners, and the FX's all-wheel drive system helps put the power to the pavement without interruption. The available solid magnesium paddle-shifters enhance the serious sport-sedan driving feel and give the driver better control over shifts, while the all-wheel drive system smartly can send up to 100 percent of power to the rear if needed. An optional continuous damping control (CDC) system utilizes electronically controlled dampers to give the driver a choice between Auto and Sport modes. In addition, the Rear Active Steer system that's available on the FX50 can turn the rear wheels up to one degree in either direction to aid maneuverability at low speeds or stability and response at high speeds. There are plenty of safety-tech features offered in the FX as well. Intelligent Brake Assist (IBA) and Forward Collision Warning (FCW) are systems that work with the Intelligent Cruise Control (ICC) system and its laser sensors to anticipate an imminent collision. If the driver doesn't respond, the system will automatically use the brakes to help reduce the severity of an impact. Lane Departure Prevention and Lane Departure Warning also help the driver keep within the marked lane, or help spot adjacent vehicles, and they might provide an early indication about waning driver alertness. Adaptive Front Lighting provides yet another measure to help on dark curvy roads. All the FX models come essentially as well-equipped luxury vehicles, but the difference is really in the advanced tech features that are mostly optional. 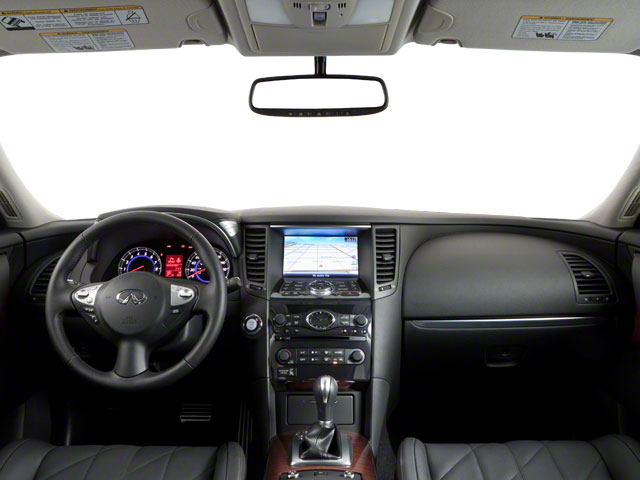 But a Premium Package groups many comfort and convenience items--such as climate-controlled front seats, the navigation system, a touch-screen display, sonar parking sensors, and an Around View camera system, on the FX35. 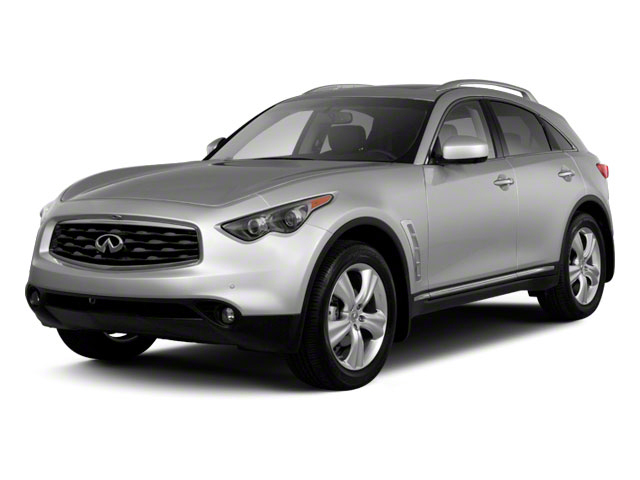 Also, a Touring Package adds a number of appearance and convenience goodies to the FX35, and available on the FX50 is a Touring Package bringing sport seats, paddle-shifters, Rear Active Steer, and the Continuous Damping Control system. The standard sound system on the FX is really a premium one, and includes eleven speakers. The Bose Premium Audio system includes XM satellite radio, iPod and USB connectivity, and steering-wheel controls. Standard on FX50 and optional on FX35 is a hard-drive-based navigation system that adds Bluetooth Audio streaming and voice recognition for navigation and audio, plus XM NavTraffic and NavWeather for real-time traffic and weather considerations, and Zagat restaurant ratings. 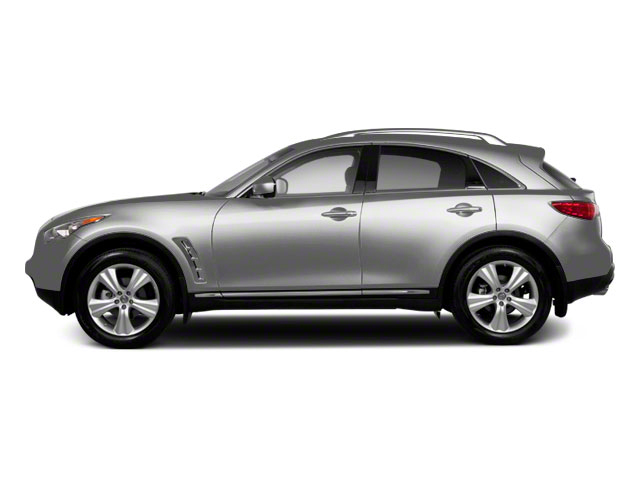 The 2012 INFINITI FX35 and FX50 manage to package sport-sedan performance into a crossover utility vehicle package. But what really separates them from the rest of the performance-SUV crowd is that they really look the part, with curvy sheetmetal and an aggressive stance. Both of these models handle far better than most other utility vehicles that claim performance in their segment. The other aspect that truly distinguishes the FX models is available technology. Especially on the FX50, a long list of optional items is available that otherwise might only be offered in big sedan flagships such as the Mercedes-Benz S-Class or BMW 5-Series--including items like lane-departure warning, collision braking and intelligent cruise control.